New! Your organization can now sell your wreath products direct to your customers, via a customized landing page for your organization on our website. Simply provide us with your PayPal account info, select the items you wish to sell, and we set up a custom web page for you to share on social media, your organization's website, or other online presence. This allows you to extend your fundraising program's reach considerably farther than via traditional door to door sales methods. Click here to see a sample online sales page for a group fundraiser, showing examples of wreaths you can sell online for your own group. 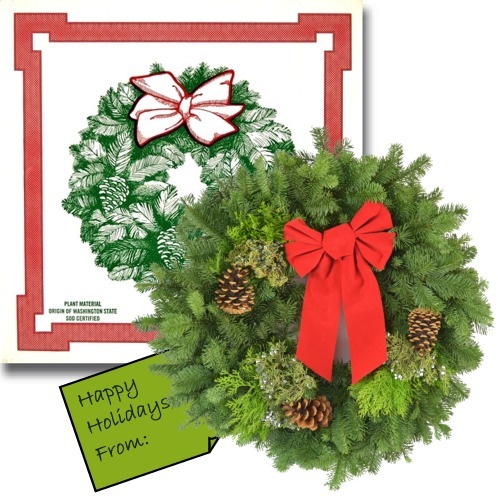 L&O Evergreens Inc., DBA: Turnbull Evergreens, Inc. is a wholesale evergreen wreath company. 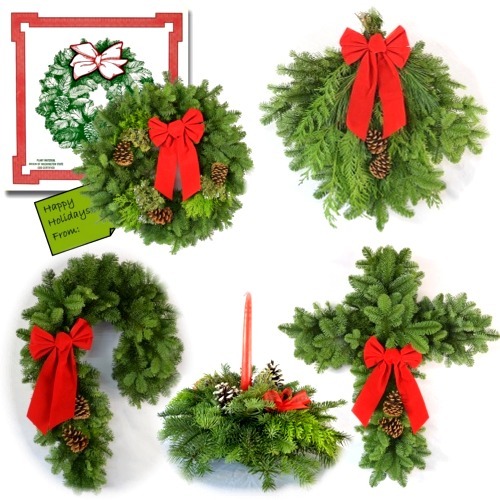 We specialize in fresh holiday evergreen decorations for fundraising projects. You buy Christmas wreaths wholesale from us, and can then resell them at your own price, at up to 100% markup. If you are looking for great holiday fundraising ideas, you have come to the right place! We have set up a Christmas fundraising program that is very easy! Whether you are big or small you will find our system to be easy to manage and very profitable. Our friendly staff is always available to answer your questions and give you whatever help you need. Simple System - NO MONEY DOWN: Buy your Christmas wreaths at our low wholesale price and sell them for as much as you want! You don't pay us until AFTER you sell your wreaths! Many fundraising groups such as Boy Scouts and Church Groups make as much as 50% profit, selling our wreaths! How's that for a great fundraiser idea? Every part of the country is a little different economically and this system allows you to set a price that is right for your area. New: Online Direct Sales Tools! a customized landing page for your organization on our website. Simply provide us with your PayPal account info, select the items you wish to sell, and we set up a custom web page for you to share on social media, your organization's website, or other online presence. This allows you to extend your fundraising program's reach considerably farther than via traditional door to door sales methods. Click here to see a sample online sales page for a group fundraiser. Pre-selling: You don't need to worry about over ordering since most groups pre-sell the decorations and then place their orders with us. At that time you request your desired delivery date and we do the rest! 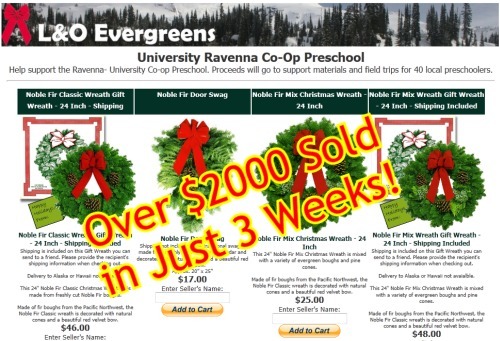 Sales Kit: We provide your group with a FREE SALES KIT that has all the materials necessary to pre-sell and order your evergreen decorations. Fresh Products: Of course to be successful you need a wonderful product. Our beautiful fresh Christmas wreaths and holiday products will delight your customers and keep them coming back year after year. Almost everyone decorates for the holiday season and this makes your job that much easier. We fully guarantee all of our products. Helpful Staff: We have received rave revues from our customers for our friendly and helpful staff. We do our best to accommodate your wishes and provide you with everything you need to make your fund raiser a success. Enthusiasm: We can provide the products and the sales kits but you have to provide the enthusiasm! Our beautiful products are certainly something to get enthusiastic about and when you combine that with the motivation to earn money for your cause... you are well on your way to reaching your goal. And what's more, it gets better every year you participate! Turnbull Evergreens, Inc. offers a FREE FUNDRAISING SALES KIT that makes your selling job much easier. We have developed this kit over several years and it provides you with everything your group will need. Once you have selected the products you wish to sell from the 'Sales Kit Choices' section, contact us and we will send you the kit of your choice so you can begin your fundraising planning and selling. An exciting part of our Christmas fundraising program is the 'Gift Wreath'. It is mailed directly from our warehouse to friends, relatives or business associates. This allows you to expand your sales because each customer has the potential to order several Gift Wreaths. We provide you with an individual Gift Wreath form for each customer to be filled out with the appropriate mailing information and returned to Turnbull Evergreens. Gift Wreaths are shipped directly after Thanksgiving, but we will honor special mailing date requests. U.P.S. Ground (1-8 days) in contiguous U.S. The Gift Wreaths are listed as a separate category on the price sheet. Encourage your salespeople to mention this popular item.